My friends; My readers; My happy, random surfers who found this blog by happenstance or by keyword. This is a box… technically. I want to discuss a phrase… a cliché that’s been used far too often in the last couple of years. In fact, before I began working full-time, I heard it. When I was being interviewed for my first full time jobs, I heard it. I still hear it and I see it in print every so often. A1) You currently don’t have someone who thinks that way, thus you’re starving for new ideas. A2) You want someone who thinks the same way as you do, which perpetuates idea starvation. B) You’re requirement for organization, as stated in a job advertisement, was not well thought out and now you have to go have a word with your Human Resources department. C) Why would you want outside the box, when the box keeps everything nice and orderly? Personally, I think anyone who sees that as a requirement and doesn’t question it, is obviously not an outside the box thinker. Any hiring manager/employer who sees that in a cover letter or resume objective/profile, should probably automatically file-13 it. It’s as simple as that. If a prospective employee is not ready to question such a phrase, then how can you honestly believe they are “an outside-of-the-box-thinker? Writing such a requirement in a job description is almost Hellerian (to coin a phrase) in concept. It is, without a trace of irony a “catch-22”. For those unfamiliar with the allusion and phrase I just made there, Joseph Heller, author of Catch-22, wrote a compelling novel in which the protagonist is an Air Force pilot stationed in the Mediterranean during World War II. The problem the protagonist faces is such that, in order for him to return home, he has to maintain his sanity. However, the Air Force’s requirements were such that no pilot can fly if they lack a concern for their safety; ergo = sane, you continue flying missions: insane, you are grounded. Thus, one who claims to be an outside-the-box thinker, is not; and one who does, likely actually is. Do I consider myself an outside of the box thinker? No, not really. The reason why I don’t is that I understand three things that few others do. 1) Everyone else is ready, willing and able to say they are. 3) Outside of the box, is yet another box. To get the meaning behind that last point, I have to paint a picture for you. 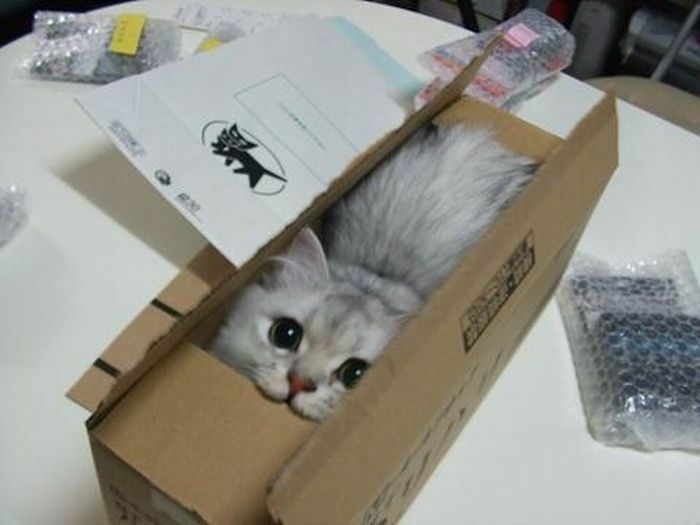 Imagine you’re at your desk and there is a box in front of you. Now, outside of your cubical, is a room. Outside of that room, is likely a larger room. Moreover, outside of that larger room, is likely the entire floor in which you work on. is in a building, with several floors and roughly comprising the shape of a large…. BOX. Congratulations, you have just come to the realization that you do NOT think outside of the box. You’re actually IN it; apart of it. You’re one of the many organic components in a giant cubic Matrushka doll. And what was with that weird shape at the top of this blog? It’s called a Tesseract or Hypercube. It is a 4-sided polytopic structure, where the fourth side is generally regarded as another dimension. It’s a big thing in Quantum Mechanics, or at least, was. Movie fans have likely heard the word before. It was in Captain America, Thor and Avengers. While those were great blockbusting action flicks, their explanation of what a tesseract was, was non-existent. In fact, said artefact was merely a glowing cube standing in as Chekhov’s gun. Fans of Madeleine L’engle (A Wrinkle in Time) should be familiar with it, prior to its Chekhovian use in the Marvel movies. Now what does the Tesseract have to do with this entry? It represents a way of thinking. Not just in an internal or external manner, but also in a strategic and critical way at the same time. The fourth dimension is often said to be time; when putting ideas together, we must consider where we were and where we are going. To me, the utmost important value is careful consideration of what it going into the box. I like to be organized. I like to put my ideas and stuff into a box before I do anything further. One cannot afford to be reckless. Such things result in horrible disasters. This is also the one example where thinking outside the box is a safer thing to do. Once again, if you’ve made it this far, that was a foregone conclusion based upon the evidence previously laid-out for you. So, what does this mean to a prospective employer? It means that I can think things through and unlike so many others claiming to be outside-the-box thinkers. I will never willingly claim to be such a thing, but chances are, the work that I will do, will show that I am exactly what I am so reluctant to call myself. This is my personal, catch-22, and I’m comfortable with that. With respect to any hiring managers that may have received my resume because I applied to a position they are looking to fill. I want you to know that if you had “outside the box thinking” in your job advertisement, it was not the reason why I decided to write this particular blog. I will not deny any influence, but I will admit that I was taught to avoid clichés in PR writing. If you did in fact have those words in your job advert, they did not dissuade me from applying, I simply ignored them and focussed on the rest of the job description, where things actually mattered. This entry was posted in Best Practices, Critical Thought, Non sequitur, Public Relations, Tech skills, Writing and tagged #hirejos, alternative thought, catch-22, jobs, joseph heller, outside box, outside thinker, requirements, thinking. Bookmark the permalink. ← I’m awesome, so hire me! Now, place the tip of your pen or pencil at the dot of your choosing. Without lifting your pen/pencil, make 4 straight lines, and in doing so intersect all 9 dots. Once the solution is evident, the origins of the phrase will be as well. Those dots are supposed to be evenly spaced. Thanks wordpress. And good call on that old brain teaser. In fact, the wiki for “Thinking outside the box” shows exactly that puzzle. The catchphrase, or cliché, has become widely used in business environments, especially by management consultants and executive coaches, and has been referenced in a number of advertising slogans. To think outside the box is to look further and to try not thinking of the obvious things, but to try thinking beyond them.